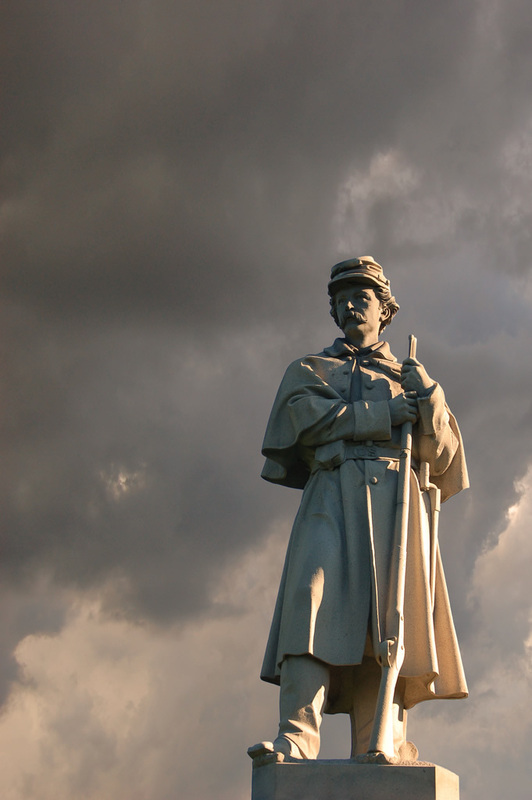 A couple of days ago I voiced my disagreement with a bill that the Virginia legislature hoped to pass that would prevent local communities from making decisions about what to do with their Confederate monuments. In that post I called on the governor to veto HB 587. Pursuant to Article V, Section 6, of the Constitution of Virginia, I veto House Bill 587, which overrides the authority of local governments to remove or modify monuments or war memorials erected before 1998. The rich history of our Commonwealth is one of our great assets. My administration strongly supports historic preservation efforts, including the preservation of war memorials and monuments. However, this legislation would have been a sweeping override of local authority over these monuments and memorials including potential ramifications for interpretive signage to tell the story of some of our darkest moments during the Civil War. There is a legitimate discussion going on in localities across the Commonwealth regarding whether to retain, remove, or alter certain symbols of the Confederacy. These discussions are often difficult and complicated. They are unique to each community’s specific history and the specific monument or memorial being discussed. This bill effectively ends these important conversations. I am committed to supporting a constructive dialogue regarding the preservation of war memorials and monuments, but I do not support this override of local authority. It goes without saying that I agree with the reasoning expressed above. In fact, I couldn’t have written it better myself. Well done, Governor Not-Cuccinelli McAuliffe. Now we just need to repeal the original law, and return all control over monuments in Virginia to local communities. This Virginian agrees to! I hope the GA will leave this alone. The problem with the veto is although it made the Confederate monuments susceptible to local control, it also jeopardized all monuments erected before 1998. That includes the Arthur Ashe monument on Monument Avenue in Richmond. It was unveiled and dedicated on 10 July 1996. That was Arthur Ashe’s birthday. Obviously from the text of the veto it was directed at Confederate monuments and not monuments in general. Governor should have left that out. Local communities should have free reign to decide the fate of all monuments, regardless of when they were erected or their subject matter. We can’t say locals can tear down Confederate monuments, but nothing else. This vetoed bill was written in response to a district court ruling in the case of the flag at Danville, in which the judge ruled that the existing law from 1998 was not retroactive. That strikes as a very dubious finding, and one not likely to be upheld. Supporters of the flag in Danville would have done better first to push for that ruling to be overturned on appeal, rather than craft a whole new law that creates a new set of problems. In Florida, Governor Scott signed HB310 into law, which provides for removal of the statue of E. Kirby Smith from the U.S. Capitol, to be replaced by another Floridian to be determined by a committee. Surely there is a better Floridian than someone who made his name west of the Mississippi. They’re keeping the statue of John Gorrie, credited as the creator of air conditioning. I can get totally behind that. This Connecticut Yankee totally agrees with the Veto! Keep our Civil War history intact.